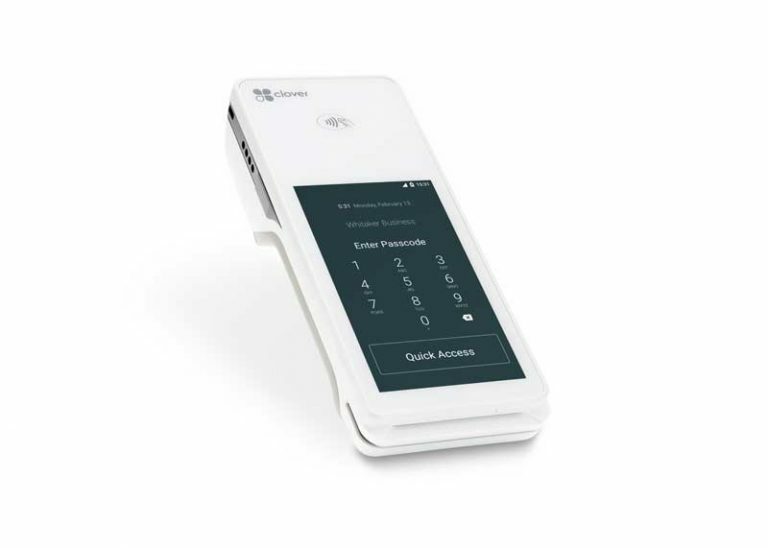 First Data Corp. plans to further exploit its fast-growing Clover® point-of-sale hardware and software platform for small and mid-sized businesses by bringing it to full-service restaurants. “Clover has always been strong in small, quick-service restaurants, but the FSR segment needs much deeper functionality and is a large addressable software market that enables Clover to increase its revenue per merchant,” First Data chairman and chief executive Frank Bisignano said Monday morning while reviewing the Atlanta-based processor’s third-quarter financial results. The package, which Bisignano said will roll out “shortly,” will put First Data into even sharper competition with merchant processors Square Inc. and Global Payments Inc., both of which have many restaurants as merchants and have extensive business-management software offerings. Chief financial officer Himanshu Patel said on today’s conference call with analysts that First Data is up to the task. He noted that the restaurant sector already is Clover’s biggest merchant segment, or vertical. Bisignano indicated that other industry-specific Clover software products are in the works, but didn’t give any details. The intention is to get merchants to pay for cloud-based management software, not just buy apps from third-party developers, in addition to using Clover’s payment service. Clover is now processing $70 billion in annualized volume, up 45% year-over-year and more than triple its $20 billion in annualized volume as of early 2016, according to Bisignano. First Data last week brought Clover to Canada and will roll it out in Argentina by year’s end. The company also has launched an online-enrollment service for new merchants at clover.com. Clover’s growth is one reason First Data’s merchant-processing segment, Global Business Solutions, posted a 9% increase in North American transactions in the third quarter, hitting 13.6 billion compared with 12.5 billion transactions a year earlier. International merchant transactions rose 15% to 2.83 billion. Besides Clover, GBS got a lift from the addition of 250 independent software vendors since the start of the year, according to Bisignano. The under-performer continues to be First Data’s joint ventures with large banks, but Patel said he expects improvement next year. Two partners now have online merchant enrollments. The Network & Security Solutions segment, which includes the Star electronic funds transfer network, debit card processing, and prepaid cards, processed 6.21 billion transactions, up 12% from 5.54 billion in 2017’s third quarter. Global Financial Solutions, which processes for payment card issuers, reported 944 million North American accounts on file and 201 million internationally for year-over-year increases of 6% and 21%, respectively. In all, First Data reported total segment revenue of $2.16 billion, a 3% increase after an accounting change, and net income of $401 million, up 35%, in part because of the sale of two divested businesses for $550 million. Despite the higher profit, First Data’s shares fell 12% Monday morning from Friday’s close because the company missed analysts’ earnings expectations and lowered its profit outlook owing to negative foreign-exchange impacts, according to reports on the financial wires. Heavily leveraged First Data continued to reduce its debt load, a top priority of Bisignano’s. The CEO said the company’s net debt fell by more than $850 million in the third quarter and is down $1.4 billion year to date. Net debt still stood at $17.2 billion as of Sept. 30.